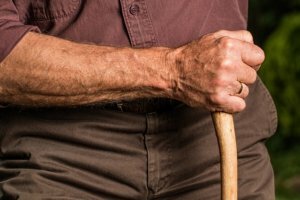 The Turnbull Government has extended its commitment to tackling elder abuse, with a $2 million boost to the Older Persons Advocacy Network (OPAN) as new figures reinforce the importance of the national service. Minister for Aged Care, Ken Wyatt AM, said the funding would allow OPAN to continue and expand its vital work to support people experiencing elder abuse, whether in the community or in aged care and to advocate for their rights and protection. “New figures show that OPAN had a combined 1,330 information contacts and cases of people at risk of or experiencing elder abuse in its first year of operation and conducted 285 sessions to educate older Australians and service providers on elder abuse protection,” said Minister Wyatt. The Turnbull Government created the first National Aged Care Advocacy Program in 2017 and OPAN was established last year to lead the delivery of independent aged care information, advocacy and consumer education services through an existing network of nine organisations across Australia, in each state and territory. “This new funding builds on the $1 million provided to OPAN to help combat elder abuse over the past year,” said Minister Wyatt. “It’s important that we shine a light on any physical, emotional or financial abuse of our elders,” said Minister Wyatt. “The OPAN services report that the more they make their services known, the more people contact them, who often feel they have nowhere to turn to for help. “I encourage everyone in need to take advantage of OPAN’s free service, which also includes individual information and advocacy support on all issues to do with aged care. Meanwhile, the Commonwealth Bank is extending its domestic and family violence support program due to customer need, with its helpline receiving about 90,000 calls in the first month. Initially launched as a 12-month pilot in November 2017, the CBA Domestic and Family Violence Emergency Assistance Program will continue indefinitely as a result of the volume of customers requiring help. Describing financial abuse as a hidden epidemic, CBA is committing about $20 million in prevention and support initiatives, including training branch staff and financial counsellors in identifying and supporting potential victims. 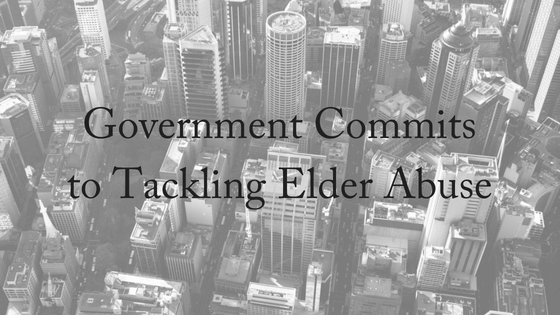 In June, the Australian Banking Association, National Seniors, Council on the Ageing, Older Persons Action Network and the Financial Services Union joined forces to lobby Government to allow the safe reporting of suspected elder financial abuse by bank staff. “Bank staff unfortunately all too often see people who are their customers being pressured to give access to their accounts, all too often see their accounts being drained by family members, by friends that they trust and care about,” ABA chief executive Anna Bligh said. Financial abuse is most commonly seen here at Estate Battles. It is the improper or illegal use of an older person’s funds, property or resources. We believe it’s important to protect seniors against exploitation and abuse. Acquaintances of older people suddenly becoming very close who through fraud or threats excludes other members of the family and hijacks the finances of the older person. Attorneys under a Power of Attorney documents misusing the older person’s money or assets for their own benefit. A carer of an older person who assists in the finances of the older person utilising credit cards and other resources of the older person for their own personal use and enjoyment. Assets being given away by the older person to one child for reasons which the older person does not really grasp or is duped into believing is appropriate in the circumstances (when it is not).